As I commented in my post, District Court Judge Alsup’s order ruling that the Java declaring code copied by Google was not copyrightable was vulnerable because Judge Alsup seemed to rely on factors and cases relevant to copyright fair use (specifically interoperability) to justify a finding that the Java declaring code was not protected by copyright. And never, the CAFC judges rightly observed, may the two mix. It is quite correct to say (as Oracle has argued) that a finding that a work is not protected by copyright must stand on grounds independent from a finding that copying was permitted by fair use. “What is the expectation standard? . . . You’re supposed to make the determination of copyrightability at the time that the creative act occurs, correct? Does copyrightability get lost because it becomes popular? 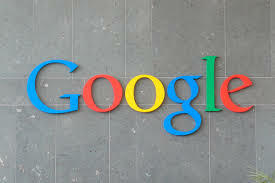 Comments by the CAFC judges suggested that Google’s best argument (perhaps its only viable argument) was based on the First Circuit’s decision in Lotus v. Borland. In fact, the CAFC hearing in 2013 bore an uncanny similarity to the Supreme Court 1995 hearing in Lotus v. Borland – in both cases the judges tried to find a standard the courts can use to separate functional computer code not entitled to copyright protection from expressive code that is entitled to protection. The Supreme Court Justices voted 4-4 in that case (one justice abstaining), leaving Lotus as the law in the First Circuit, but nowhere outside the First Circuit. However, the CAFC is not bound by this case (it must apply Ninth Circuit law), and it seems a thin reed for Google to rely upon in its attempt to preserve Judge Alsup’s order. In addition, the appeals court judges were very interested (surprisingly) in trying to find a way they could avoid requiring the district court to retry the case on fair use (a defense the jury hung on at the first trial). This interest seemed to take Google’s lawyer by surprise, and indicates that the court is leaning in the direction of limiting a retrial to the issue of damages (if it finds no fair use as a matter of law) or dismissal altogether (if it finds fair use as a matter of law). A “snatching victory from the jaws of defeat” outcome for Google could be that the Java declaring code is copyrightable, but that Google did not infringe by reason of fair use. However, this aspect of the argument didn’t give a clear impression of which way the judges were leaning. 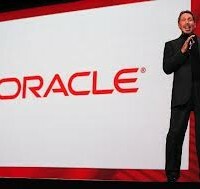 It is true that Google’s counsel was on the defensive during much of his argument, while Oracle’s counsel seemed to be cruising. However, any attempt to “read the bench” in a case like this is little more than reading tea leaves. Misdirection from judges is an everyday occurrence; recall how the country misinterpreted questions from the Supreme Court bench during oral argument for the Affordable Care Act (ObamaCare). Nevertheless, if I had to make a prediction today, based on nothing more than the oral argument, it would be that this case is heading back to the district court for further proceedings. Exactly what those will be, I’m not sure.